An anthropologist shares with the “SNA and data mining community” his own anthropological perspective framed during more than five decades of network thinking about a broad range of anthropological problems. For 50 years he has viewed all people, things, and ideas in dynamic relationships. That perspective is a network perspective and at the same time anthropological, combining ethnographic, historical, holistic, and comparative views. 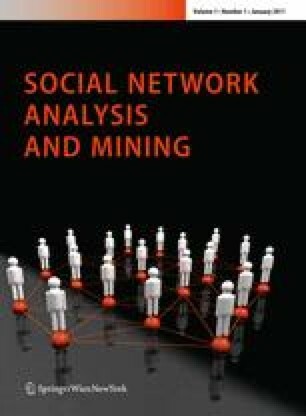 It is valuable and beneficial to the community of scholars who use network analysis to try to understand what is going on, what went on before, and what the future prospects are. As an anthropologist, his interest is more in the wholes generated by network linkages—systems of households, bands, lineages, communities, corporations, governments—than in the individual persons linked. Even now, when personal network “communities” are getting so much attention network analysis can clarify the more complex wholes such as multinational corporations and supranational systems. Those important entities and the problems they represent should not be left to economists and politicians. Concepts considered include system evolution and increasing complexity; anthropological views of transactions, relations, modes of transactions, spheres of transactions in multicentric economies, complexity across the full range of embedded networks—material, biological, and sociocultural. Social network analysis can help to define systems at various levels of integration, both within communities and in the widest conceivable supranational level. Techniques such as regular equivalence and block-modeling are useful in sorting the subsystems of complex systems. He concludes with hope that as improved methods of data mining and network analysis are developed, other anthropologists and social scientists will be able to measure the evolution of supranational sociocultural systems that involve both states and multinational corporations.